https://dealspotr.com/deal/-ds-get-10-off-on-you-order-at-domain-site-wide Oops! 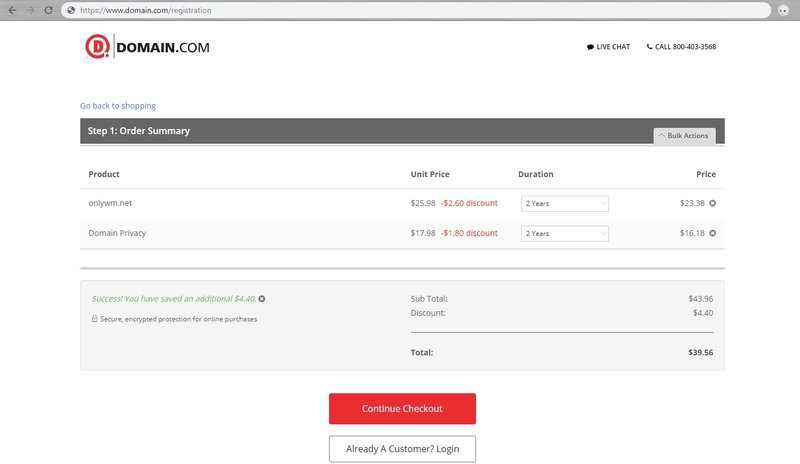 Your validation: Get 10% OFF on You Order at Domain.com (Site-Wide) was flagged for the following reason: The deal title had issues with formatting and style. Your Accuracy Score may have been affected. Thank you for helping us create a great experience on Dealspotr by reviewing your validations! Daniel Star Clearly 10% discount is applied as described in the deal. I really do not understand what's wrong? JimyGomez Your deal has to be formatted correctly. JimyGomez It's because of a grammatical error on your Tittle. You put "Get 10% OFF on You Order" an it should be Your Order.